Homebrew apps on the Pre just keep getting better, more numerous, and easier to install. There are a ton of apps in the gallery (139 as of this posting). You can go straight here to see a listing of the most recent. We have a real file browser with Internalz, the beginning of a real facebook app with FriendsFlow, a super-fun word game in Word Whirl, and plenty more. If you're not amazed by the prolific creativity coming out of Palm Pre developers right now, well, it's time to start paying attention. A few housekeeping notes before we get to some nitty gritty: We'll be adding new features to the gallery next week. 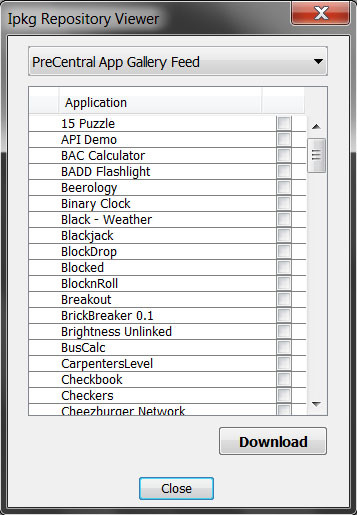 Stay tuned for sorting by download count, recently popular, and a fully open ipkg standard feed for installers. We also hear that the fileCoaster installer has a big update coming very, very soon. Speaking of hearing things, we hear that many of the developers who have apps in our Gallery have been contacted by Palm and will be getting their apps into the official App Catalog! When that happens, some apps will continue in Homebrew as Beta versions so you can test their future updates, some will be 'Graduates' where you can see them in the Gallery but download them from the official App Catalog. Congrats developers! On the install front, WebOS Quick Install was updated to v2.01 yesterday and with it came many new features that will help the average user do things that previously required rooting. WebOS Quick Install is available on our forums and we'll leave the setup information to there, getting straight into the crunchy new features after the break! The first new thing you'll notice is a new icon on the main view of the program. Just below the "+" and "-" icons is this new one. Clicking it brings up the new Ipkg Repository Viewer. The default ipkg feed is our very own PreCentral Homebrew Gallery feed, which means access to the current 139 homebrew apps there. In addition, there are feeds available for PimpMyPre's PreLoad feed and WebOS-Internals' own feeds. 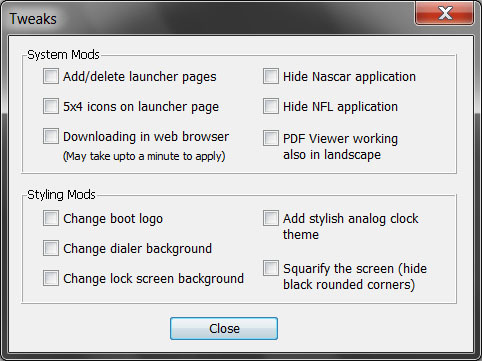 Next up, in WebOS Quick Install's menu, in Tools->Tweak is the new Tweaks panel. 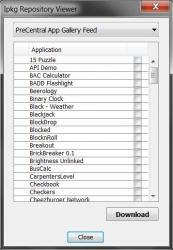 Here is a bunch of hand system hacks that get applied with a simply click of a checkbox. A full tweaks guide can be found here, but suffice to say, this provides a simple, safe way for the average person to tweak their device to get more out of it. 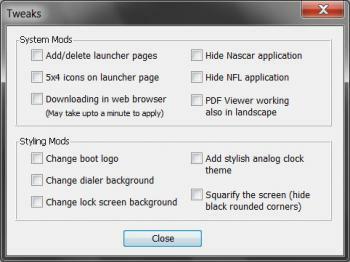 Just be sure to plug in and uncheck the tweaks before you apply any webOS updates! Most importantly, this new update to WebOS Quick Install provides support for postinst and prerm scripts in ipk files. For developers, this is huge, but what does this mean to the average user? In a nutshell, no more "rooting required" apps! All those commands users would have to enter via linux access can be put into those scripts and put into the ipk file. WebOS Quick Install will be able install and uninstall those apps like any other, at the click of a button. Of course the existing "rooting required" app developers will need to be the ones to add the scripts, but already it has seen adoption by many developers including myself. WebOS-Internals' Preware app, PreGame's Flashlight app, and my recent app, Internalz, all now include these scripts and will install like any other app through WebOS Quick Install. The developer of AutoCorrect Edit has also openly stated an upcoming version will support the scripts. The homebrew community keeps growing day by day. One can only one what amazing apps will be released now that the "rooting required" wall has come down.